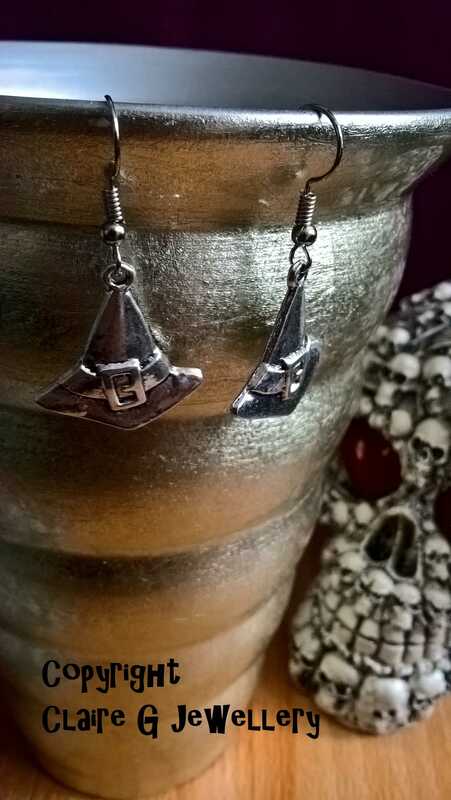 <\/u><\/b>These handmade earrings are made from a silver coloured witches' hat. 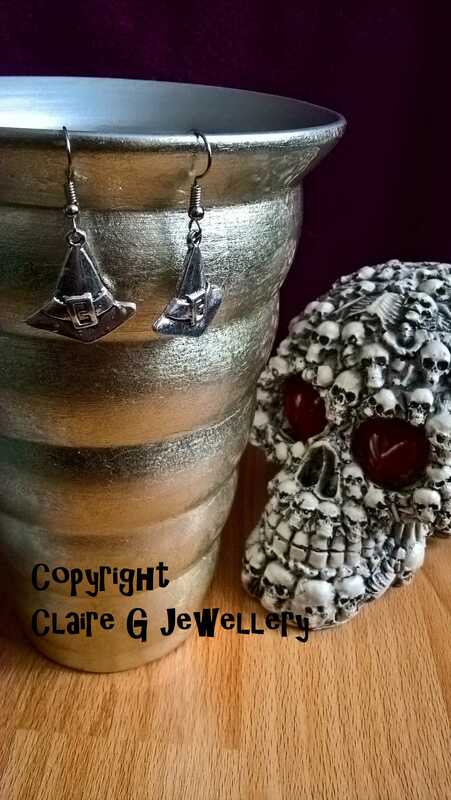 They are perfect for the Halloween season, for fancy dress as a witch, a night out or to wear throughout the year because you love witches\/the design. It is a unique item, so not something you'll see in the high street - perfect as a gift for a loved one or to treat yourself. Main colour\/s of earring design<\/u>: Silver coloured. Allergy advice, please note: <\/u><\/b> If you have only recently had your ears pierced or you have a pre-existing allergy to plated alloy metals\/costume jewellery (I.e. metals that are not hallmarked) then these are NOT suitable. If you are in any doubt, please contact me before purchase. 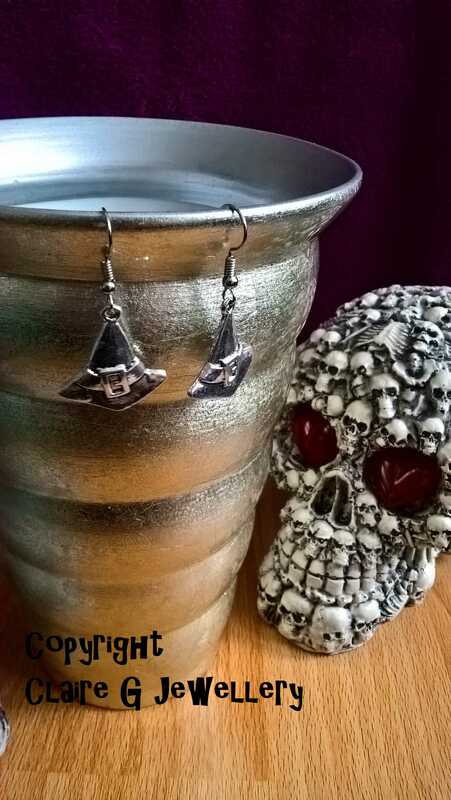 These handmade earrings are made from a silver coloured witches' hat. 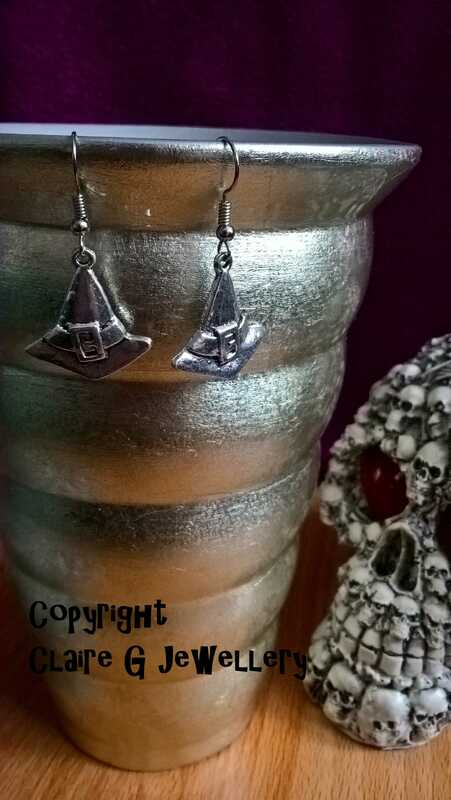 They are perfect for the Halloween season, for fancy dress as a witch, a night out or to wear throughout the year because you love witches/the design. Main colour/s of earring design: Silver coloured. 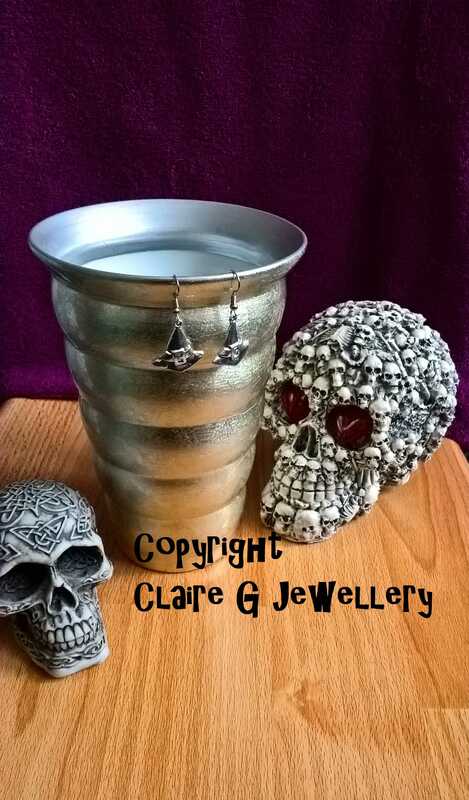 Allergy advice, please note: If you have only recently had your ears pierced or you have a pre-existing allergy to plated alloy metals/costume jewellery (I.e. metals that are not hallmarked) then these are NOT suitable. If you are in any doubt, please contact me before purchase.